A major technology initiative that the global Svitzer is working on in partnership with Rolls Royce is the Optimus Project, where a tug carried out several remotely controlled manoeuvres in Copenhagen last year. The vessel’s captain, stationed at the vessel’s remote base at Svitzer headquarters, berthed the vessel alongside the quay, undocked, turned 360°, and piloted it to headquarters before docking again. Mr Bartnik said the project was really an exercise in what might be possible. “There is a lot of work in developing the sensors around the tug so you can provide the information to the remote user, and this has implications for safety systems as well,” he said. “Frankly the issues [around autonomous vessels] are not technical, they’re regulatory, same as with autonomous land-vehicles like cars, the issues are regulatory. 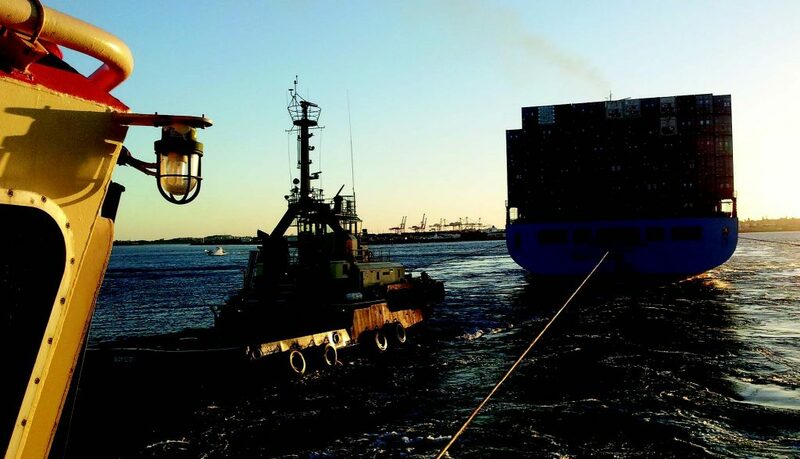 “In a lot of ways I would be pleased when they bring in autonomous trucks because ultimately, our roads will be safer.” As Svitzer is part of the Maersk Group, the towage and salvage company can be seen as a relatively cheap test-bed for technology that could be applied to the parent company’s ocean-going vessels. “Instead of fitting a $200m containership or whatever, you can fit a $10m tug and have it paddle around the harbour,” Mr Bartnik observed. However slow progress may be, it is sure that the tugs and towage industry is moving inexorably to a brave, new and data-powered future.